Now you can buy One Pair of Kids Shoes and get a second pair FREE during the BOGO Kids Footwear sale at Reebok. There are tons of styles that will be included in this sale, the Club C Pre-School, the Classic Leather – Grade School, the Royal Classic Jogger and much more. These fun sneakers provide the comfort and support little ones need to toddle around on adventures. The history dates back to 1895, but this post would be too long to read, so I’m going to start from when Adidas acquired Reebok in 2005. With the 2 largest outfitting companies joining together, they kept the separate brand names. Adidas acquired all the outstanding Reebok shares and completed the deal for 3.8 billion dollars. In 2006 Adidas replaced the Reebok uniform and apparel supplies for the NBA. In 2010, they partnered with crossfit and opened crossfit studios with footwear and apparel in 2011. The crossfit Delta symbol was the brand’s fitness apparel symbol. Then in 2013, Reebok partnered with Lee Mills, a fitness and training program team all over the world. The agreement then included Reebok footwear and accessory integration. By July 2013 the red Delta sign showed up all over the Reebok fitness collections. The Delta symbol represented the mental, physical and social pillars of self change. Reebok now has increased its presence in the fitness area’s of yoga, dance, aerobics, crossfit and boxing. 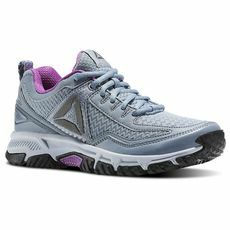 Reebok designs, manufactures, distributes and sells running, crossfit and fitness sportswear which includes sneakers and clothing. The clothes include T-shirts, sweatshirts and sweat pants. They also have different companies producing fitness and workout equipment. Over the years they have produced footwear styles including the 1982 introduction of the “Reebok Freestyle”. A sneaker produced for women. In 1984 the sneaker accounted for half of the Reebok sales. In 1989 and the early 1990’s they introduced the “Reebok Pump”. When this came out it was a man’s basketball sneaker. The Reebok Ventilator, a light weight athletic sneaker was vented with side panels. In 2010 they released the “Reebok Zig” and athletic footwear with zigzag foam soles. Then in 2011 the “Reebok Nano” was released and was the first official crossfit sneaker. 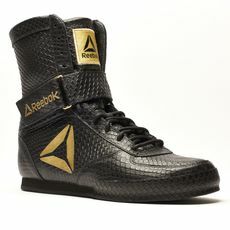 In 2017, the UFC came out with a new collection named “The Fight Night Collection” that included an upgrade version of the Reebok branded apparel. 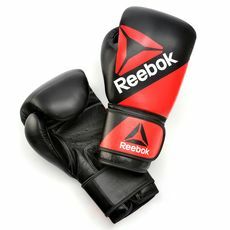 Boxing Gloves are paraphernalia that is worn on the hands during boxing matches or when they are practicing (sparing). These gloves are designed so the boxer protects his hands while fighting a competition, sparing or other forms of training. The modern gloves today help reduce superficial facial injuries but also let the fighter throw stronger punches to his opponents head without damaging his own hands. The participants also have a greater risk of brain damage. These boxing gloves are great for working out inside or outside of the ring. Reebok has a Velcro strap around the wrist for a firm fit.